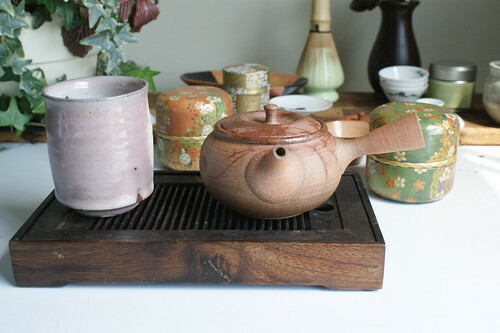 Why do you choose your your teaware? I have run several small interesting experiments with my friends, namely when giving them a choice to use any cup I have to offer, who chooses which, and why did they choose that one? 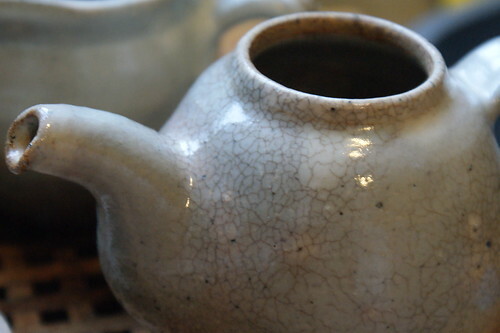 Is there something about the shape, glaze, size that appeals to them, more than any other piece? Oddly while most of my teaware distinctively speaks to me and as such has traits I admire, the pieces chosen by friends when they visit sometimes shock me, as a friend known for distinct style and flair may actually choose a very humble looking cup, while a friend who normally is incredibly quiet may choose a cup that screams *look at me. * Now I don't analyze it too much in regards to friends, I prefer to do that on my own preferences for choosing teaware. Regular readers know I like Hagi Yaki for its Wabi Sabi appearance, basically saying "I am not perfect" right out there in the open. 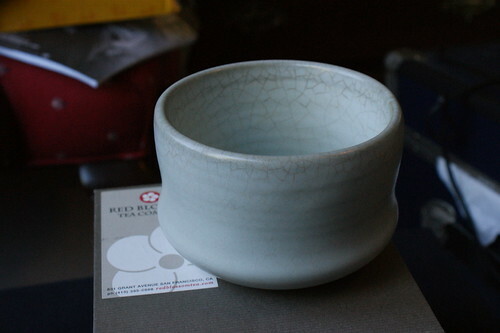 But even in more perfect looking pieces I prefer my teaware to have less than ideal glazing. An ideal glaze has identical thermal expansion properties as the glaze, as such there is no tiny hairline fractures in the glaze that will stain over time with use, the glaze quite literally is a perfect sheet of glass adhered to the surface of the bowl. But I by far prefer that additional imperfection even on an otherwise perfectly symmetrical and well formed piece. To me, these pieces of teaware mimic all of us. An absolutely perfect piece while stunning is always the same, and gets boring after awhile. While it is the stresses of life, that create the chaos in our life, which make us interesting people. These stresses allow us to not hide who we are, but rather throw it all out there in the open, and say "This is me, I have been through things, but here I am!" That is what I want my teaware to say. That is why I love each and every piece of teaware I have, to me they have shared their life, and their story, just like good friends in life.